Alex Tagliani is heading to Canadian Tire Motorsport Park (CTMP) this weekend with two goals in mind. 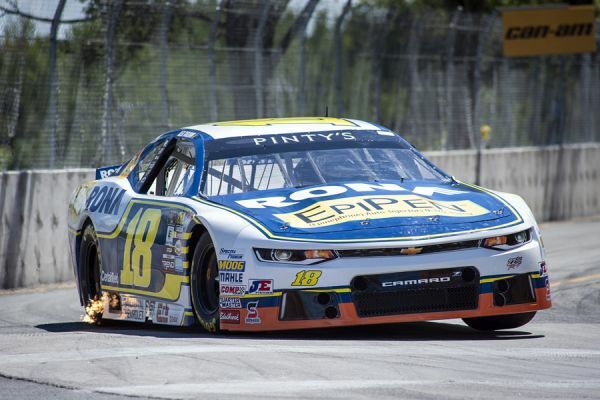 First, on Sunday he will be looking to score his first NASCAR win at CTMP in the Canadian Pinty's Series with his #18 his EpiPen/RONA/St Hubert Chevrolet and reduce the 20-point gap that stands between him and the series point's leader. 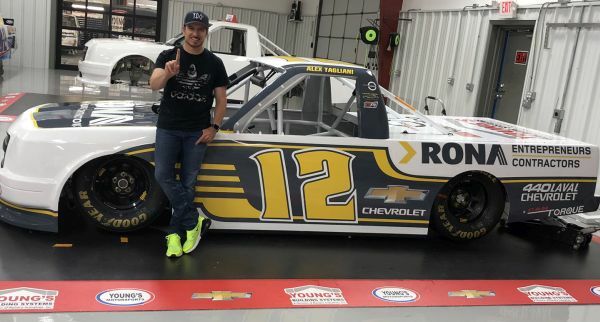 His second goal is to win Round 17 of the 2018 Camping World Truck Series in the #12 Young's Motorsport RONA "Contractors Division" sponsored Chevrolet Silverado. Coming off a fifth place NASCAR Pinty's race finish in Nova Scotia last weekend, Tagliani stayed within reach of point's leader LP Dumoulin, but will now have to visit Victory Circle on a regular basis if he hopes to win his first NASCAR title. With only four races left on the schedule, the Quebec driver has to up the ante. To reach this goal, he will have to improve on his record at CTMP. On the plus side, he has qualified five times in the top five at CTMP over the last four seasons, claiming the pole in 2017. "This track owes me a couple of wins with all the minor problems I have encountered throughout the years, whether it was mechanical glitches or just bad luck," said Tagliani. "It's about time Lady Luck comes around our way and make it our turn to win on this road course. As we are right in the thick of the championship battle, it would be a step in the right direction." Round 10 of the NASCAR Pinty's Series, the TOTAL Quartz 200 is a 51-lap race (200 kilometres) around the 3,958 kms challenging road course. Race time: Sunday, August 26 at 11:05 a.m. Fans can follow a lap-by-lap written description of practice, qualifying and the Pinty's race on NASCAR Hometracks page at https://hometracks.nascar.com/international/pintys-series/race-central-live-2018-nascar-pintys-series/ under the listing "Live timing". Pinty's drivers will first be on track on Saturday at 1:05 p.m. for their lone practice session, followed by qualifying at 5:00 p.m. In 67 NASCAR Pinty's Series starts, Tagliani has seven wins, nine poles, 28 top-fives and 45 top-ten finishes. The Canadian Motorsports Hall of Fame inductee will have plenty of track time prior to his two Sunday races with a total of five combined practice or qualifying sessions on Saturday either in his NCWTS #12 RONA "Contractors Division" sponsored Chevrolet Silverado, or driving his NASCAR Pinty's his #18 Chevrolet Camaro EpiPen/RONA/St Hubert/Spectra Premium. "I'm really excited to return to this series," continued Alex. "I know that Young's Motorsports is going to give me a competitive truck for the race. Of course, I would love to win, but I must remember that there is a championship battle going on in that series. I will have to be careful, but still, winning is everything. It all depends on what comes up during the race, but I have a good feeling that I can pull it off. I think we have the tools to win the race. I am eager to get on track to represent RONA "Contractors Division", Can Torque and 440 Laval Chevrolet in that race." This will be Alex's fourth start in the NASCAR Truck Series. All his races were run at CTMP. In 2014 and 2015, he won the pole. His best result was a fifth place finish in 2015. His goal this weekend is to win both NASCAR races on this track for the first time. Qualifying on Saturday will be televised live on the FOX Sports Racing Network at 6 p.m.; available on Videotron (792), Bell (1175), Cogeco (742), Rogers (409) and others.